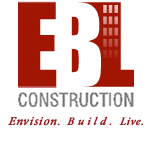 Courtelis Company has awarded Naples-based EBL Construction the interior tenant build out contract for Brown and Brown Insurance’s new offices, located in Magnolia Square, a mixed-use office and retail center located at the corner of Pine Ridge Road and Goodlette Frank Road, in Naples. The build out consists of approximately 7,900 square feet of space. Shannon Carter, assistant project manger for sister company EBL Interiors, provided design coordination services to Brown and Brown. “We are excited to be working with Courtelis Company for the first time and look forward to growing the relationship and collaborating on future projects,” said Paul Benson, EBL managing partner.